It’s a phrase that Cheryl Dobson says came to mind when she recently learned she was awarded the 2018 Professional Services Award from the Missouri Association of Collegiate Registrars and Admissions Officers (MACRAO). Missouri Southern’s registrar, Dobson has worked at the university for more than 25 years. 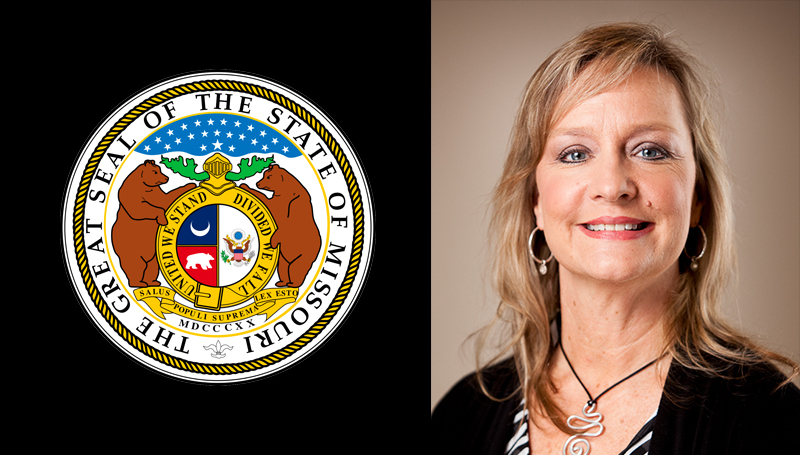 She’s a previous MACRAO board member and current member of the Missouri Department of Education Committee on Transfer Articulation board. MACRAO is the Missouri regional member of the American Association of College Registrars and Admissions Officers. It has more than 350 members representing 90 institutions, with a goal of contributing “to the advancement of higher education in Missouri to its fullest and broadest implications,” according to its website. “I’m humbled to be included in this group of recipients,” says Dobson. “It makes all of those years of blood, sweat and tears worthwhile.